Like a ship hull that keeps water out, Anchor’s White Storage Bowl keep its contents in. The BPA-free plastic lid of this containers prevent spills and leaks, and locks in the freshness of your food. 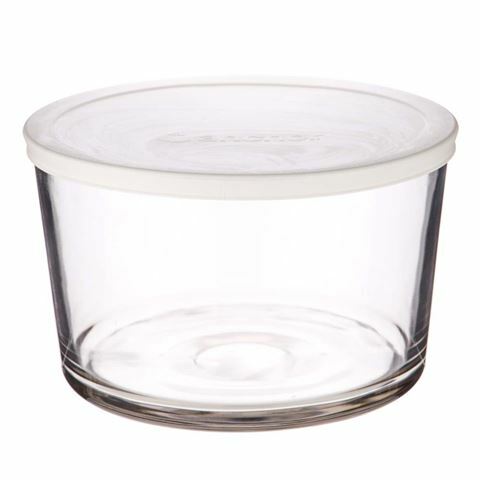 Plus, the glass of these containers is oven, microwave, freezer and dishwasher safe. Lid made from BPA-free plastic. Lid prevent leaks, and can be pressed down to push air out of the container. Glass bowl is oven, microwave, freezer and dishwasher safe. Dimensions: 13cm (h) x 21.5cm (w).